FRIENDS WITH FOUR PAWS FOUNDATION OF THE CHICKASHA ANIMAL WELFARE DI - Support Friends with Four Paws! It's hard to be a stray in Oklahoma. With your help, we are changing that! With your donations, we can get shelter dogs home! Friends with Four Paws has over 300 volunteers that work everyday to help the unwanted dogs in Oklahoma get to the people who want to give them a forever home in New York. We can't do that without you! You will change the lives of many animals with your donation. Every dollar will make a difference, and you will directly impact the care that a dog receives. Because of people like you, Friends with Four Paws has been helping shelter dogs for almost 20 years! Your donation will go directly to feed, provide medical care, and transport to get shelter dogs home! 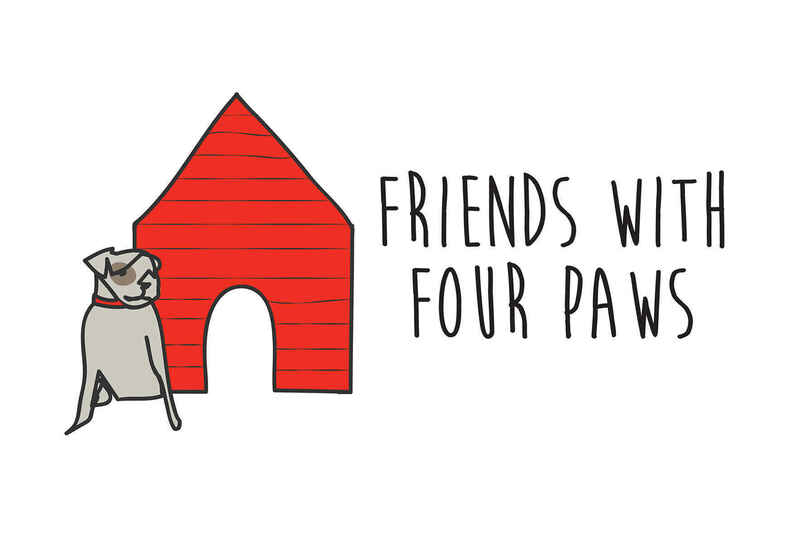 Will you join Friends with Four Paws today? Your donation will make a difference and get one home! I am making this donation to honor Molly's 5th birthday! Thanks Friends with Four Paws brining Molly to my friend Ali and Jack's life! For Trixie and all of the pups!! Thank you for the hard work you do to save these sweet innocent animals everyday from certain death, you are angels on earth! I want to be a fairy dog-God-parent! Thank you for rescuing Trixie’s puppies and the orphan puppies! You guys are doing amazing things for these pups!! Thank you! I am choosing to give because a magical rescue pup named Hattie Mae @midtownmanhattie said that your organization is the best!